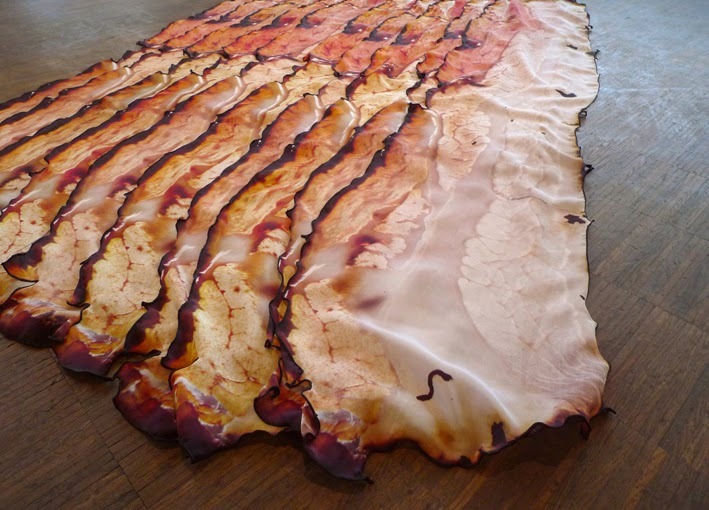 "About 1500 years ago a Chinese silkworm found his way to France to produce silk in Europe and accidentally landed in a butcher’s shop on top of a slices of bacon. 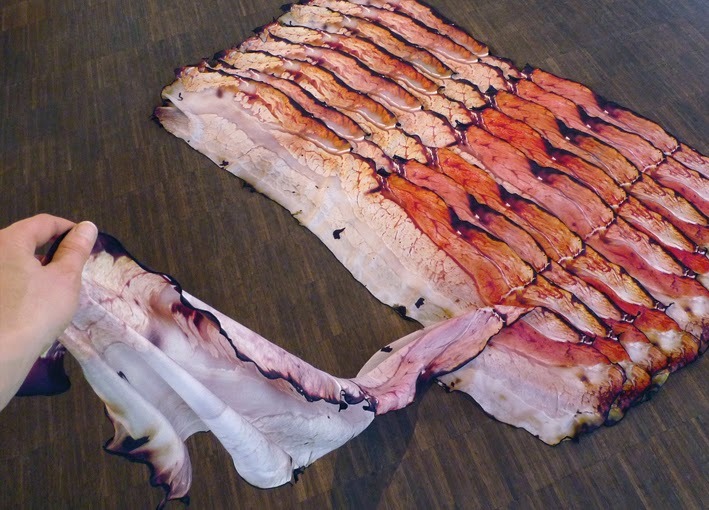 At the first sight, he thought its a bacon and only after touching them, he realize its the 'Fou Lard Bacon Scarf' which is the most shiny silk scarf that anyone would wear...." Natalie Luder created this Bacon Scarf which is a play of words: “scarf” in French is “foulard,” while “fou lard” means “insane bacon”. 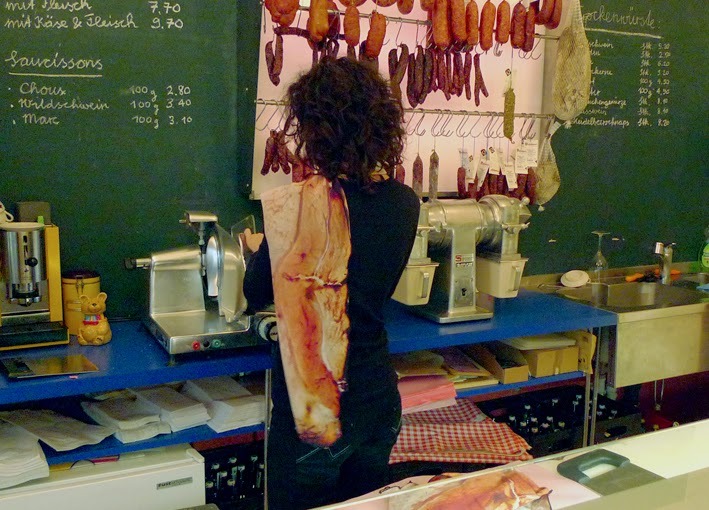 100% silk “Crèpe de Chine” for the fingers, 100% thin-sliced Mangalitsa pork belly for the eyes. 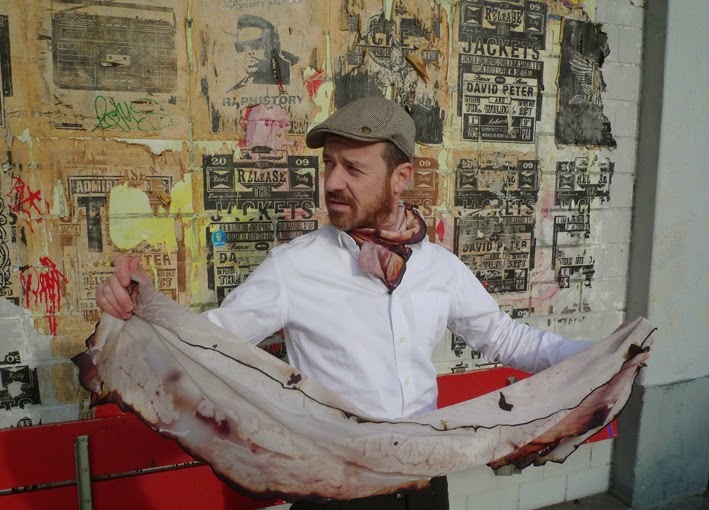 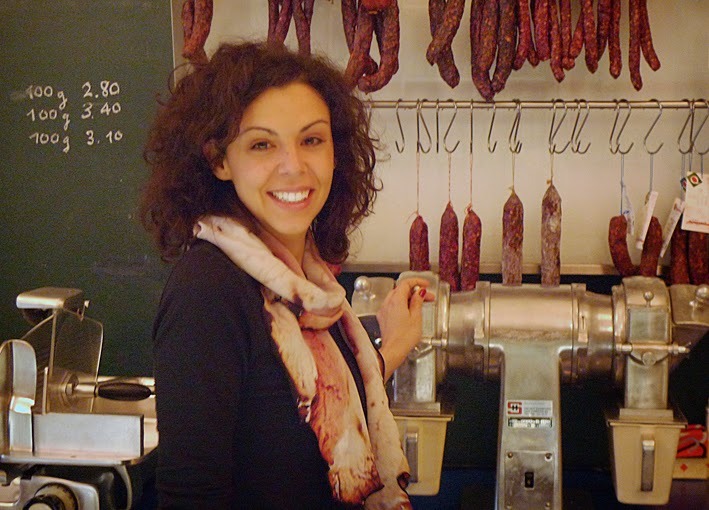 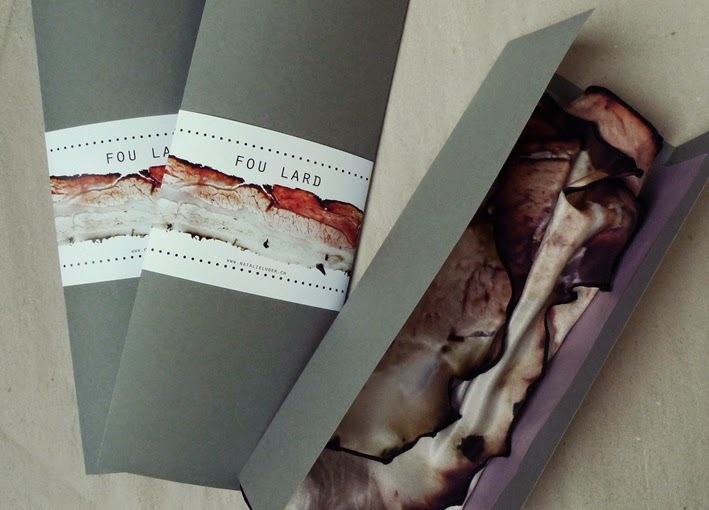 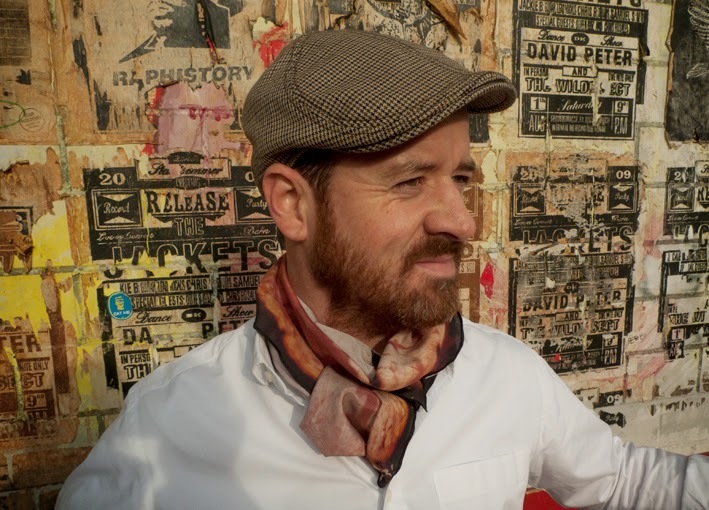 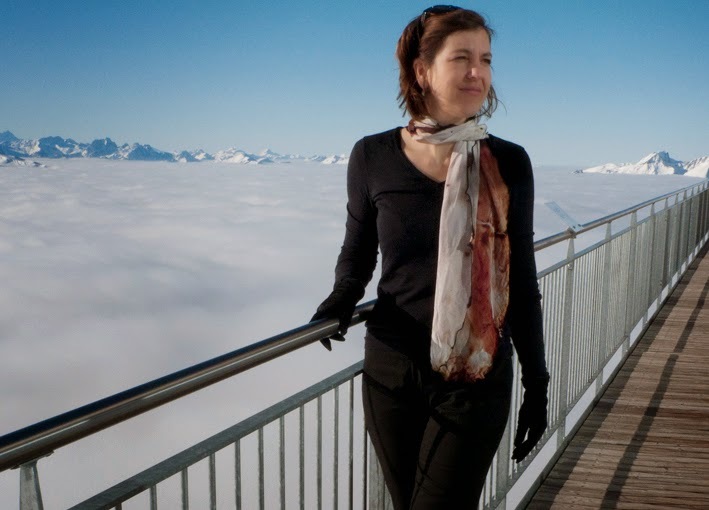 “Fou Lard” bacon scarves are digitally printed and unravel from their butcher’s paper to around 71″ long. 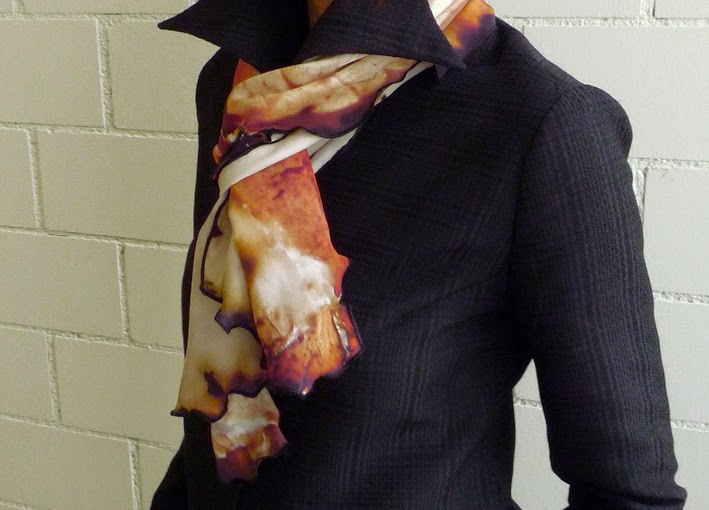 For $195 you will get delicious, drape accessory!